Lee, who was arrested in February, has been charged with paying nearly $40 million to the now-impeached president's close friend Choi Soon-Sil, allegedly as bribes to secure policy favours. Samsung Group’s Lee Jae-Yong also known professionally as Jay Y. Lee is fighting charges of misappropriation of funds, bribery, perjury. He is accused of bribing a confidante of former South Korean President Park Geun-hye and conspired to cover it up, involving him in a corruption scandal that led to President Park's exit from office. A bound and handcuffed Lee Jae-Yong, the vice-chairman of Samsung Electronics, arrived at the Seoul Central District Court as his trial opened on Friday. 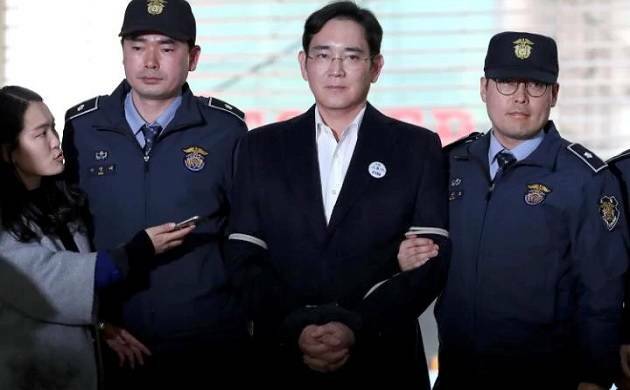 Four other Samsung executives have also been charged.Special Prosecutor Park Young-Soo said in his opening statement that Lee's case is "one of the most deep-rooted and typical cases involving unhealthy relations between politicians and businessmen". "In the course of providing bribes, Lee Jae-Yong embezzled company money illegally diverted domestic assets abroad, hid illegally-earned incomes and committed perjury at parliament", the prosecutor said. Defence lawyers have said Lee and the others deny all the charges. They say the prosecutors' formal indictment is sketchy, with some accusations only backed up by circumstantial evidence. Samsung has insisted the payments to Choi were charitable contributions it was obliged to make under pressure from officials and not bribes. "The Choi case has left a deep scar in history but it has also provided momentum to re-establish the rule of laws by dint of people's power", the prosecutor said. Ousted president Park was thrown into jail last week after a court ordered her arrest in connection with a sweeping corruption scandal that brought millions of peopleonto the streets and saw her impeached. Her close confidante Choi is also in custody and on trial for forcing top local firms including the tech giant to"donate" nearly $70 million to non-profit foundations which she allegedly used for personal gain. Lee's arrest, the first for a Samsung chief even thoughhis father was twice convicted of bribery, sent shock waves through the company and triggered the announcement of a major reform of its top-down management style.